Focused on sourcing uniquely beautiful, accessible coffees, Ceremony Coffee Roasters was founded fifteen years ago by Vincent Iatesta in Anapolis, Maryland. Today they are still driven by that passion for developing quality, diversity, and relationships in coffee. Ceremony’s work begins with seasonally sourcing the best arabica coffee from growing regions around the world. Traveling to and building relationships with the farms from which they purchase is crucial to their understanding of how to perfect their roasting process. Their end goal is to wholly understand the coffee with which they are working and to accurately represent it to their customers. Stop by the showroom in SoDo to pick up a bag, and come taste them at the (free!) Public Tasting at the Visions’ Coffee Education Lab on August 10th. For more details check out our event page here. 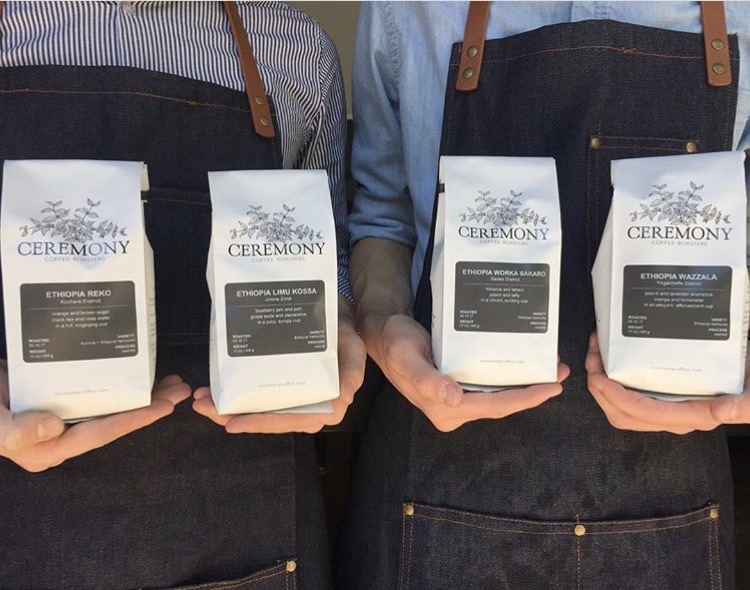 Be sure to follow Ceremony Coffee Roasters on Facebook, Twitter and Instagram, & follow Visions for a chance to win a free bag of Ceremony coffee! Previous Roaster in Focus: Réveille Coffee Co.